Juris Doctorate, 1996 Ventura College of Law. B.S. 1985, University of Southern California. Experienced and Aggressive Attorney. 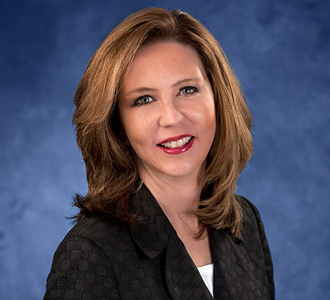 Kathleen Nakos has been an attorney in the State of California since 1996, focusing exclusively in Family Law. Ms. Nakos has appeared at hundreds of hearings and trials at courthouses located in Ventura, Los Angeles, Santa Barbara, and Kern counties. Many of her cases have been high dollar cases involving such issues as business evaluations, forensic accounting analysis, custody evaluations, complex financial tracing, complex property divisions, and psychological evaluations. And, Ms. Nakos also appreciates the needs of clients with less complicated cases. Ms. Nakos’ approach to all of her cases starts with an in depth analysis of her client’s needs, their children’s needs, the financial needs of her clients, and the overall layout of the client’s standard of living. Once all pertinent detailed information is compiled, Ms. Nakos fits the client’s profile into all of the Family Law statutes to get her clients everything they are entitled to by law. Ms. Nakos tries to settle the case before any Court appearances have taken place and when settlement is not possible Ms. Nakos aggressively represents her clients at all hearings and trials. Ms. Nakos always keeps the best interest of her clients in mind and these best interests are the prime driving force for Ms. Nakos. Ms. Nakos fights for the rights of her clients from the start of the case until the case is ruled upon by the Courts. Ms. Nakos is highly educated, well spoken, and is savvy when it comes to presenting her client’s case to both the opposing counsel and to the Court. Ms. Nakos holds a Juris Doctorate Degree from the Ventura College of Law and a Bachelors of Science Degree in Business and Finance from the University of Southern California.